Alana (Honey Boo Boo) of "Here Comes Honey Boo Boo." "Here Comes Honey Boo Boo," TLC's controversial reality show about a self-proclaimed "redneck" family and their "Toddlers and Tiaras" daughter, hit another ratings high on Wednesday night. 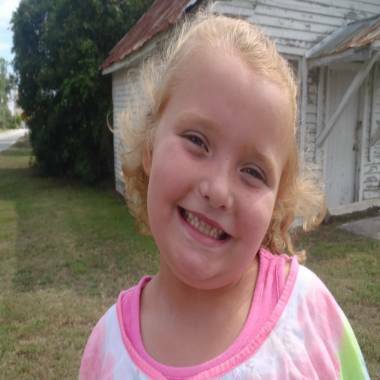 The fourth episode of "Honey Boo Boo" pulled in just shy of 3 million viewers at 10 p.m., according to Nielsen overnight ratings, growing 30 percent from last week's 2.3 million haul. Fox News gave the show its closest competition with a 1.2 adults rating in that same time period. On the broadcast networks,"Honey Boo Boo" bested ABC and CBS' demo showing for the RNC combined and topped NBC by two tenths of a point. Aggregate coverage of the RNC across networks obviously eclipsed "Honey Boo Boo" considerably. What's more, the series is now obliterating its parent series lead-in. "Toddlers and Tiaras" raked in just 1.6 million viewers and a 0.6 rating among adults 18-49 at 9 p.m. That's less than the 10:30 encore episode of "Honey Boo Boo," which pulled in 1.8 million and a 0.8 adults rating. "Honey Boo Boo" premiered to 2.2 million viewers earlier in August. The new TLC series, "Here Comes Honey Boo Boo," the "Toddlers and Tiaras," spin-off, has become a surprise hit, but is it harmless fun or exploitative? NBC's Janet Shamlian reports and Lisa Belkin of The Huffington Post and Ada Calhoun of The L.A. Times give their takes.